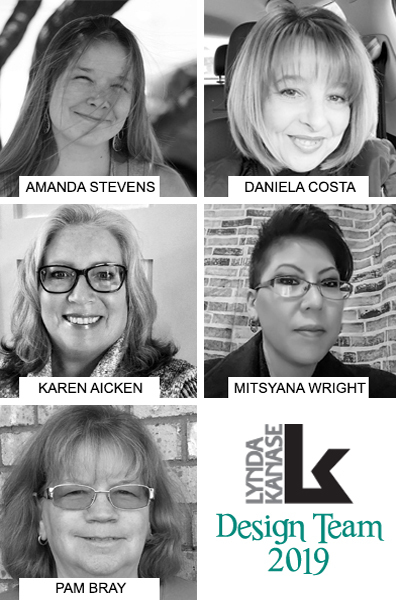 Happy Independence Day and welcome to the Designer Crafts Connection Blog Hop for July! 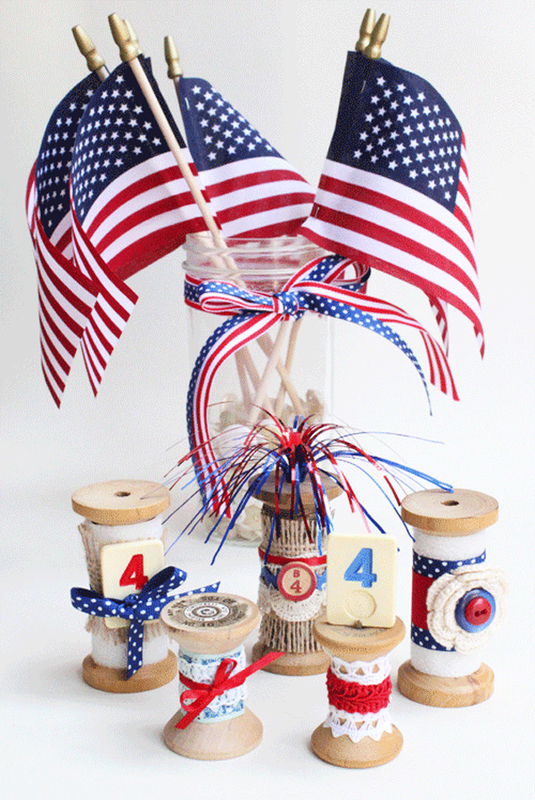 I wanted to create a fun, patriotic display using thrifted and vintage finds. I started with various sizes of vintage wooden spools that reminded me of fire crackers. I first wrapped the centers with white felt. For additional texture, I added some layers of burlap and lace on some spools. The crocheted white rosette with red and blue buttons seen on the far right spool was from a vintage sewing box. 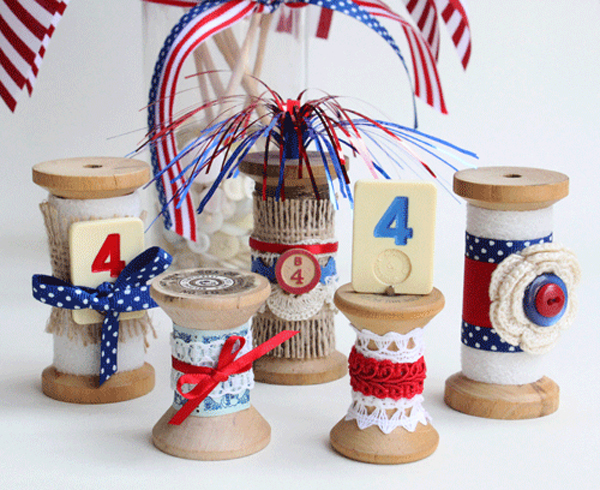 On another spool I wrapped a strip of old Blue Chip Stamps, added a bit of lace and red ribbon to make it “red, white and Blue Chip”. Even the flags in the jar and the white buttons in the jar were all thrifted finds. I also added vintage red and blue game pieces of the number 4 to set the theme.